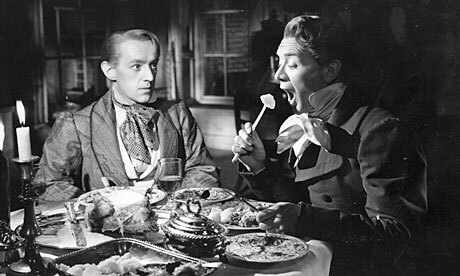 GREAT EXPECTATIONS —-if you lack the time or inclination to immerse yourself in Charles Dickens book, this acclaimed 1946 recreation will serve admirably in lieu. 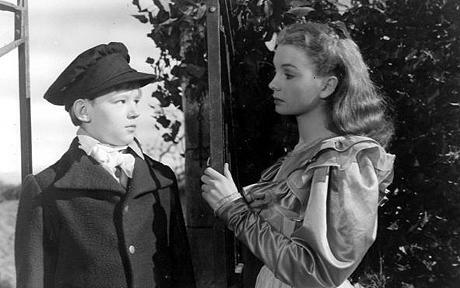 Life-trodden youngster Pip, stumbling about the Romney Marshes (a 100 square mile wetland in southern England) meets and aids an escaped convict. The repercussions of the incident follow him through young manhood, one populated with some typically memorable Dickens folk. David Lean directed, and co-wrote the adaptation. 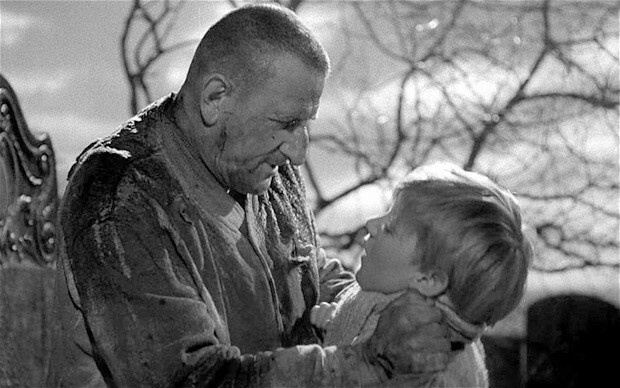 Glorious b&w cinematography from Guy Green and inventive, atmospheric art direction adorn the 118 minutes in a score of marvelously imagined moments such as the first startling appearance of the convict Magwitch (Finlay Currie), the paddle-wheeler collision, the accidental fire. 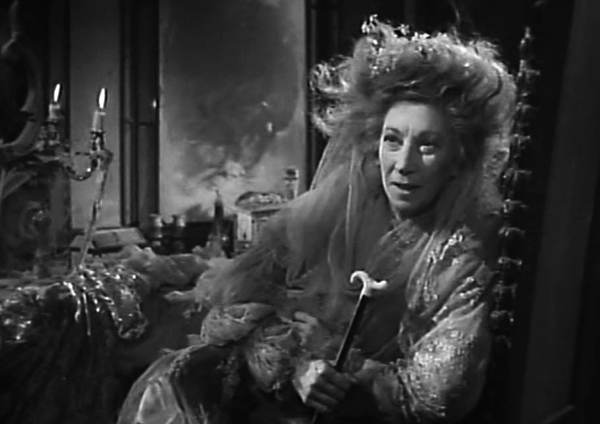 John Mills is not quite as interesting (to me) playing the grown-up Pip as Anthony Wager is as the boy, but that’s a quibble, swept aside by spellbinding 19-year old Jean Simmons as Estella, Martita Hunt as the living fossil, Miss Havisham and numerous others essayed by Alec Guinness, Bernard Miles, Valerie Hobson, Francis L. Sullivan and Torin Thatcher. Guinness was 32, in his first film role (he’d been an extra in one previous gig) and first of six thorny collaborations with the demanding Lean. Miles would become known internationally starting seventeen years later playing ‘M’ in the Bond films. The deep focus camerawork and forced perspective art direction won Oscars, and the Picture, Lean as director and the script were nominated. The others handling the screenplay: Ronald Neame, Anthony Havelock-Allan, Kay Walsh and Cecil McGivern. Filmed previously in 1934, three times since, in 1974, 1998 and 2012, but never better than this.